Everythingaboutcooking has a new home . The change has been on my mind for sometime now and I finally took charge . Thank you everyone for following the blog and all the lovely comments. I'm still in transition and sorry for any inconvenience caused. Kavya of www.kavyanaimish.com passed on a lovely award. Thank you Kavya. 2. Pay it forward to 15 other bloggers. Please don't leave it general and just invite all your blogger friends to collect the Award. It's always nice to be nominated so please do the favour and nominate 15 bloggers to share the Award with. I'm not passing it on to 15 bloggers and u need not too. 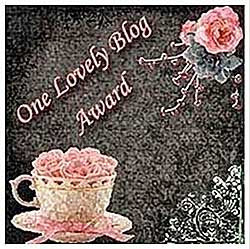 And other bloggers, please feel free to collect the award.